Do not leave your residential septic tank pumping needs to just anyone. VAC-TEC LLC is the trusted provider of residential septic tank pumping serving Seattle, WA and the surrounding areas. Our technicians have the industry experience and knowledge, and are available to meet your emergency residential septic tank pumping needs in Seattle, 24 hours a day 7 days a week. We are fast, professional, and can help you keep your septic tank in good working condition with our residential septic tank pumping services. We work hard to keep the disruption to your property to a minimum. We are proud of the way we leave your property just the way we found it. We are available around the clock to meet your commercial septic tank cleaning needs in Seattle. Emergency service is our specialty. 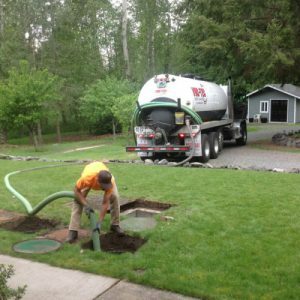 When there is sewage on your property or the septic alarm goes off, call us for fast commercial septic tank cleaning in Seattle or the nearby areas. We will be there as quickly as possible to get your commercial septic system cleaned and working correctly. Our commercial septic tank cleaning services are environmentally friendly. We will clean your septic tank and haul away the waste in a legal manner. 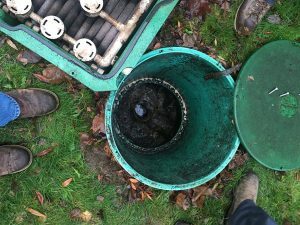 We can develop the right commercial septic tank cleaning and maintenance program for the unique needs of your property. For more information on our residential and commercial septic tank cleaning services in Seattle, feel free to call VAC-TEC LLC at (206) 339-0039.